With my tripod perched on a precarious ledge, this amazing view appeared in my camera. It was late afternoon. We had hike around 4 miles across a barren, featureless, remote desert landscape to reach one of the most remote canyons in Big Bend National Park. A trail to this location doesn’t really exist - only scattered cairns from those who have made this trek before me. Taking in the sunset from this vantage point was an amazing experience. The hike back in the dark a bit more tricky. 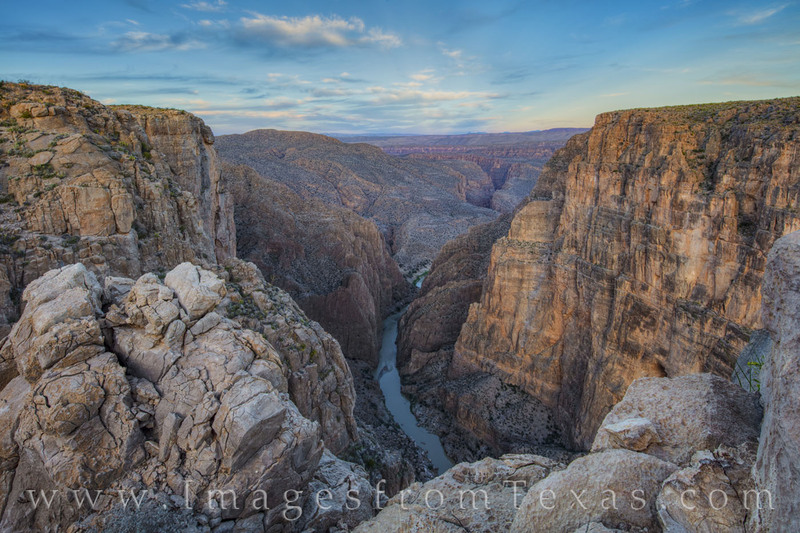 Still, the opportunity to see and photograph this canyon that divides Texas and Mexico as the the Rio Grande River winds through the rocks far below is one I will not soon forget. Photo © copyright by Rob Greebon.